Welcome to Farmville 2 Community! Like us to get daily rewards for FREE. 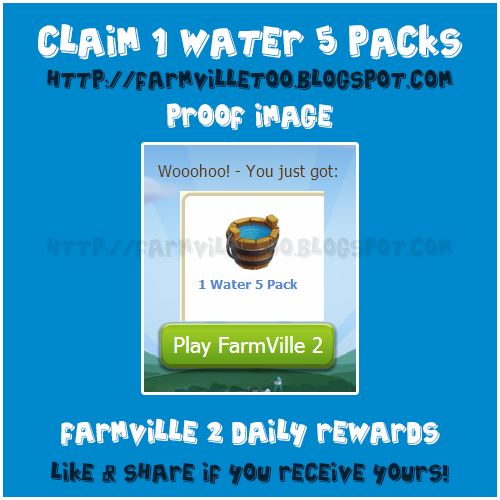 Farmville 2: 1 Water 5 Packs - Claim Now! Everyone knows that farming requires a lot of hard work and dedication, so we’re giving our farmers 1 Water 5 packs for FREE! Click below to claim yours, and don't forget to share this post with Friends and Neighbors so they can collect some, too!